"Every Jump Counts" is a side-scroller written with Game Maker 1.4. The object of the game is to collide with the white rectangle at the end of every level. 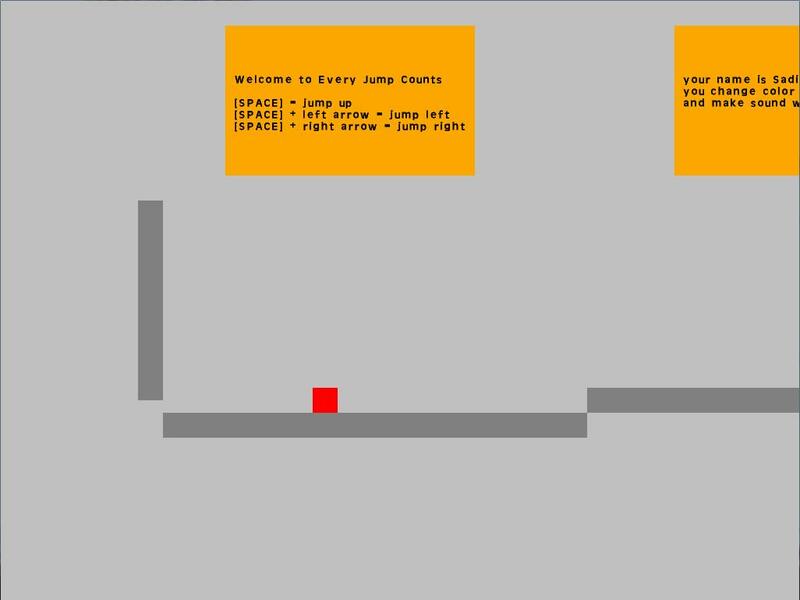 Your character may only use controlled jumps in order to move and changes color with every jump. Jumping onto the same color platform as your character will cause the level to reset to the beginning. 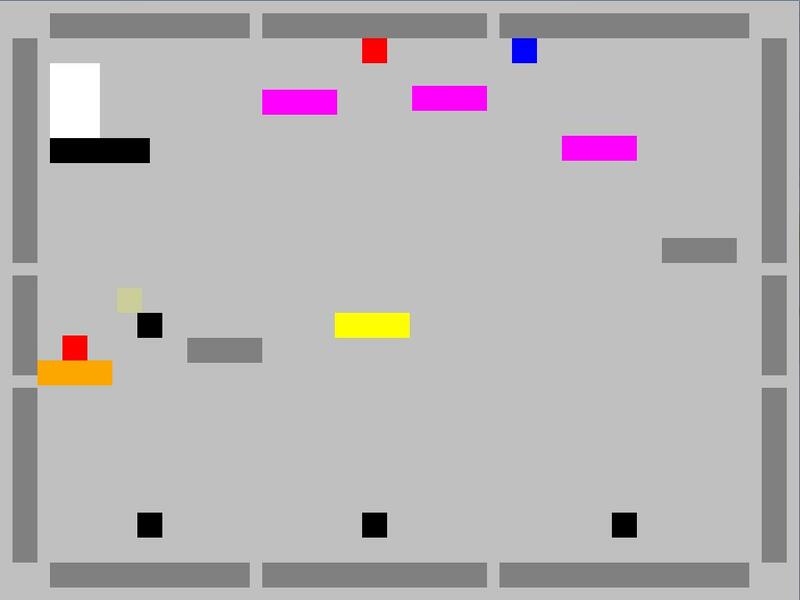 This is a 4-level tech demo in order to demonstrate a majority of the gameplay mechanics.